Hello, friends, and thanks for letting me talk about my new release Come Home to Me and one of my favorite places to visit – South Carolina. My newest release, published by Amazon Montlake, takes place in the fictional South Carolina coastal town of Moonlight. Since I lived in Beaufort, South Carolina for a year, I based my fictional town on this delightful small town situated between Savannah, Georgia and Charleston, South Carolina. A romance with heavy women’s fiction overtones, the book tell of three former friends and the event that changed their lives their senior year of high school. 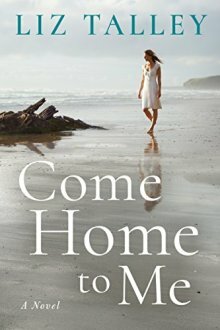 Come Home to Me is a story of courage, revelation and learning to own up to one’s mistakes, and coastal South Carolina with its haunting Spanish moss, sprawling oaks, and Southern practicality seemed a perfect place to set the tale. 1. Hunting Island Lighthouse – located about 15 minutes from Beaufort, this state park is a raw island with tropical (think jungle) beaches. With felled palm trees and twisted driftwood, you’ll feel like a pirate landed in uncharted paradise (or Forest Gump in Vietnam). The black and white lighthouse dares you to climb high above the Atlantic waves and look out at the barrier islands protecting the coast. I opened the present day story in the book on Hunting Island beach. 2. Historic Charleston – There’s so much to see and do in Charleston. You can walk the battery, sleep in haunted hotels, pet stingrays at the aquarium, or shop until you drop along King Street. But, my favorite thing to do in Charleston is the walking tours. Nothing makes history as real as a knowledgeable historian regaling you with tales of pirates, the Civil War or founding families. With unique architecture and overflowing window boxes, this city will charm you. 3. The Angel Oak Tree – Located on John’s Island, this 400+ year old beauty must be seen to be believed. Watch out for school children – it’s a popular destination for field trips. 4. The Aiken-Rhett House – While in Charleston, why not truly step back in time? Built in 1820, this house is one of the best preserved antebellum houses in the US. Because it remained in the same family for 147 years, not much changed. You can still see the coaches in the coach house and the slave quarters contain orginal furniture. It’s a self-guided tours so you can really take your time studying the 19th century wallpaper or perusing the kitchen house. 5. The Penn Center on St. Helena Island – One of the most significant African American Historical Institutions, the Penn Center is the former site of the Penn School, one of the country’s first schools for formerly enslaved people. There you can learn about the Gullah-Geechee culture, buy Gullah sweetgrass baskets and learn how the Gullah make fishing nets. The Penn Center grounds you to the culture of South Carolina, and always makes me think of Pat Conroy’s book The Water is Wide. As Summer drove over the Harbor River Bridge, she tried to let go of the aggravation that seized her every time Hunt’s name came into the conversation and instead admired the beauty of the evening. Living outside Moonlight had its pluses. Coastal South Carolina could compete with any place in the world for natural beauty. The grass marshlands, carved up by natural waterways and shaded by mossy oaks, were breathtaking in the orange glow of the fading day. She never thought she’d come back, but on days like today with a salty, windblown boy beside her trying to find rap music on the radio, she was glad she’d come home. Of course it hadn’t been easy returning to a place she’d left in, well, not disgrace, but something different than how she’d envisioned as a child. Summer was no longer that nice, smart Valentine girl. It had been easier to leave Moonlight than it had to come back. Currently, she taught after school music lessons and worked part-time at her sister’s flower shop. Refusing to totally give up on her past life, she’d joined a band and did a few gigs around the county. Between that and Hunt’s child support payment, she made ends meet. “Mom, you’re going to miss the turn,” David said, jarring her from her thoughts. “Thanks,” she said, making a tight turn and waving to the man at the guard shack before turning down the old dirt road that would lead to her tiny rented house. Pete had sold the real estate development company a thin stretch of land as long as he could have right of access to his place. To her right, she passed million dollar homes with their big columns and fancy outdoor kitchens facing the Rowan River. Took only four minutes to reach her tiny cabin situated to the left front of Pete’s house which sat on pilings. The wide porch of his house jutted out onto the river and that’s where she found Pete on most afternoons, reading crime fiction and swatting at the mosquitos. Nothing like trying to fend a teenaged boy off dinner, right? Trust me I know. I have two of them. I hope you’ll check out Come Home to Me – you can find a “look inside” feature on Amazon to read the first pages of the book, and I would love to connect with you on Facebook at www.facebook.com/liztalleybooks or on twitter at www.twitter.com/amyliztalley and you can find out more about my other books at www.liztalleybooks.com. A finalist for both the Romance Writers of America’s prestigious Golden Heart and RITA Awards, Liz Talley has found a home writing heartwarming contemporary romance. Her stories are set in the South, where the tea is sweet, the summers are hot, and the porches are wide. Liz lives in North Louisiana with her childhood sweetheart, two handsome children, three dogs, and a naughty kitty. Readers can visit Liz at www.liztalleybooks.com to learn more about her upcoming novels.